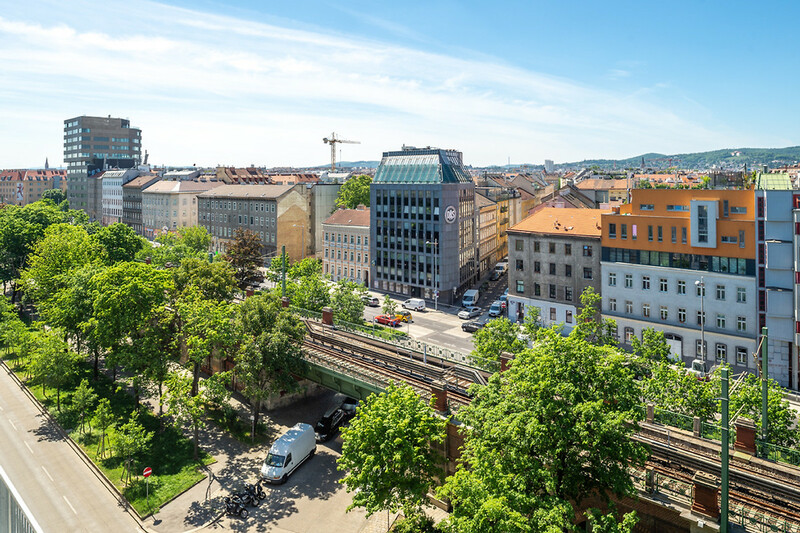 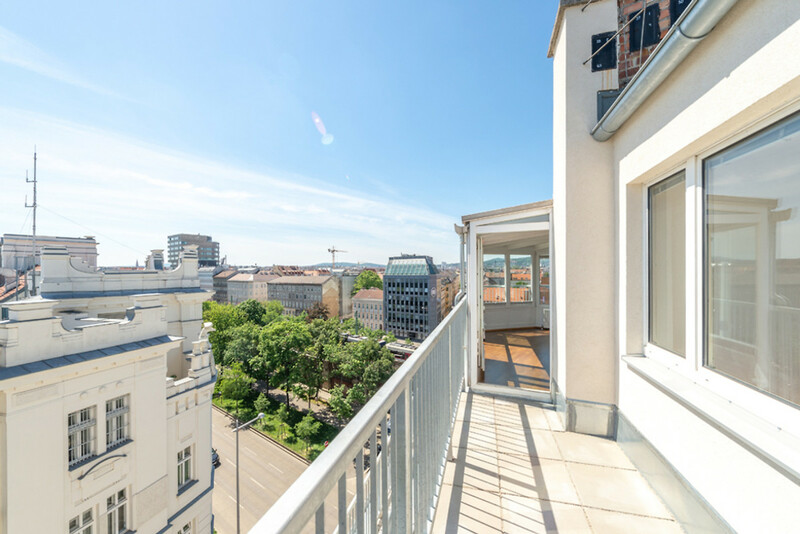 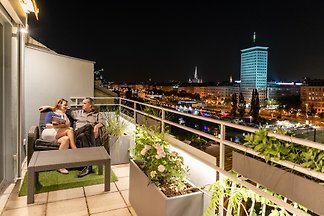 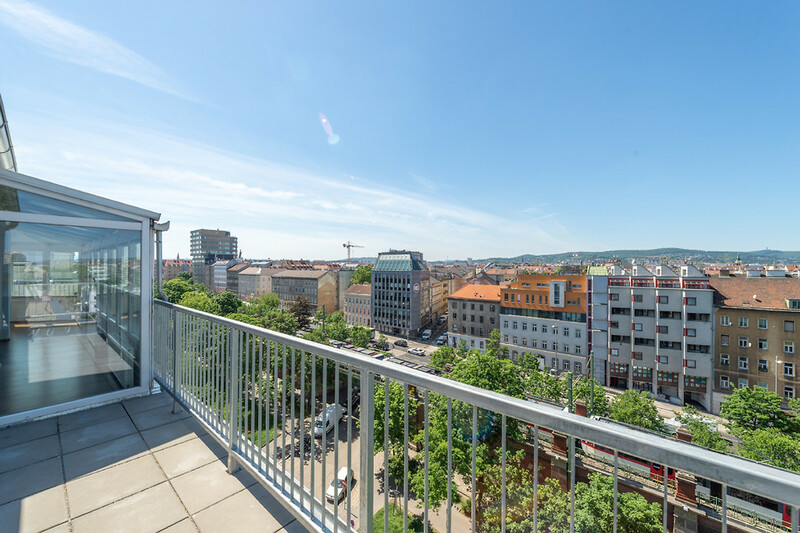 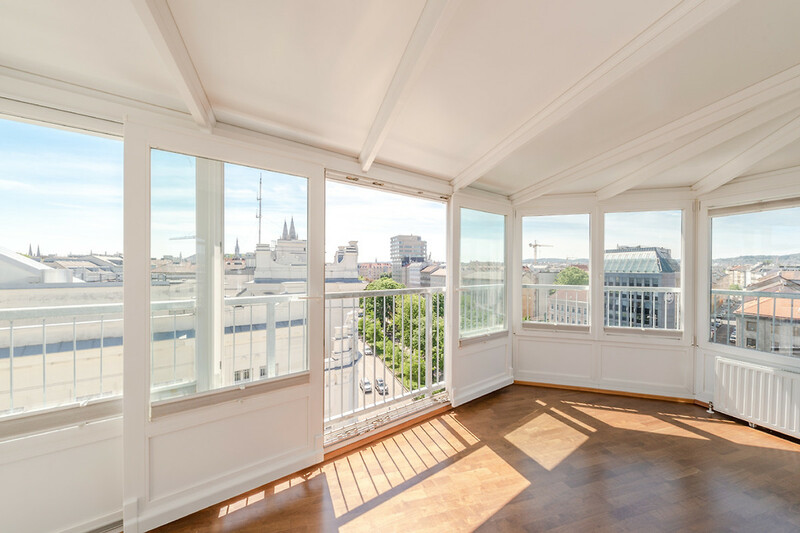 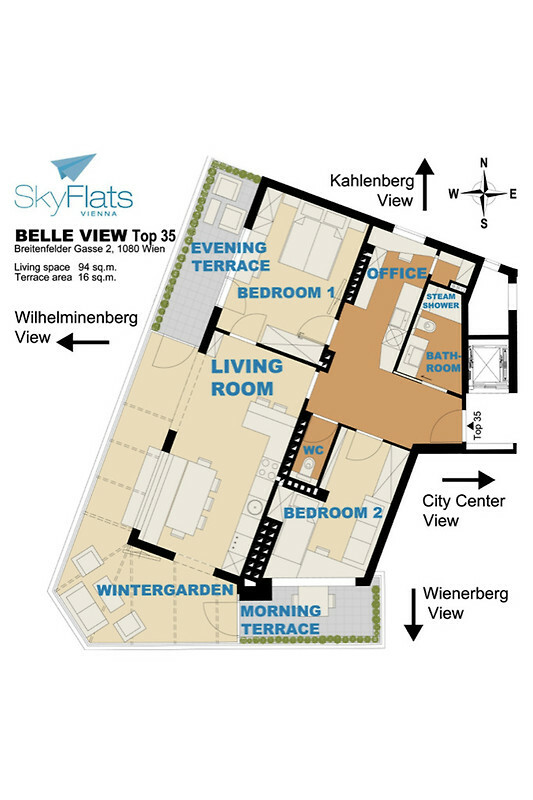 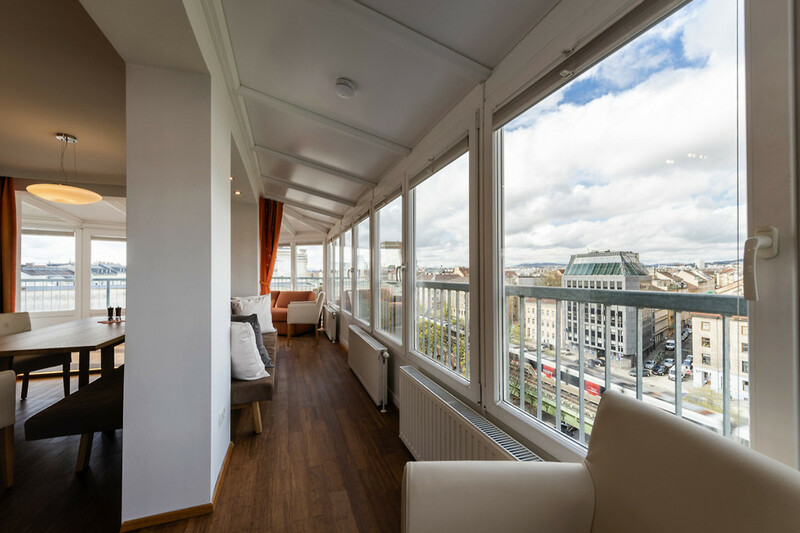 "Belle View" is located on the top 8th floor of a residential building from the 60s with a magnificent 360 degree view over the city, from the Vienna Woods to the UNO City. 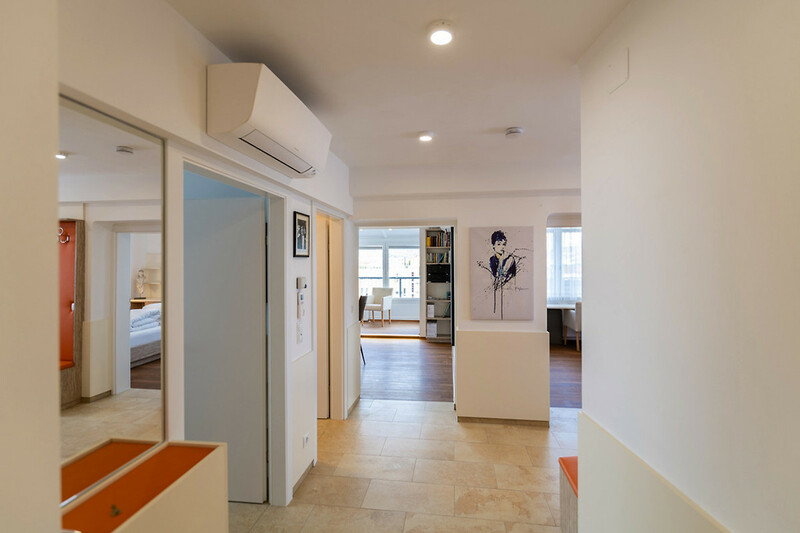 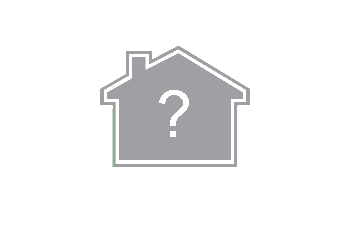 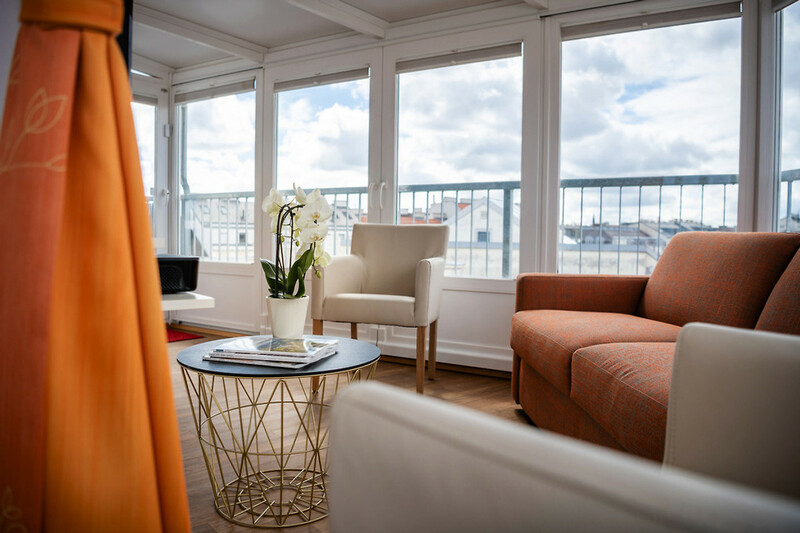 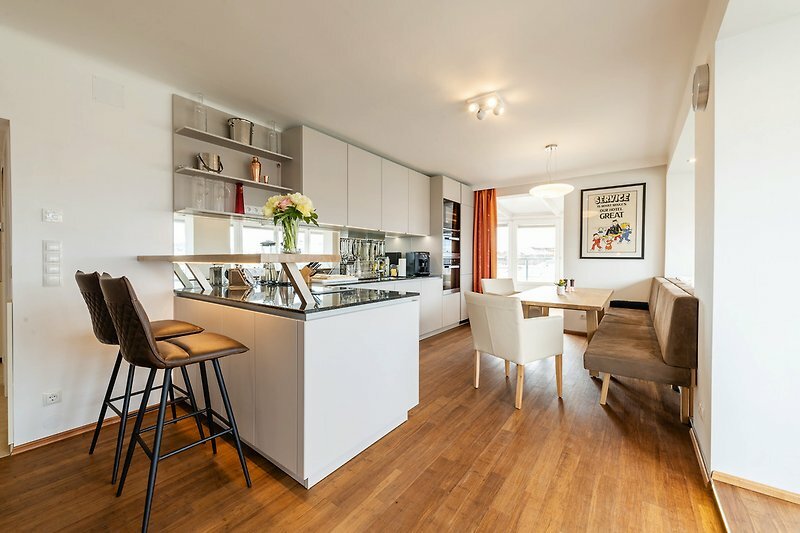 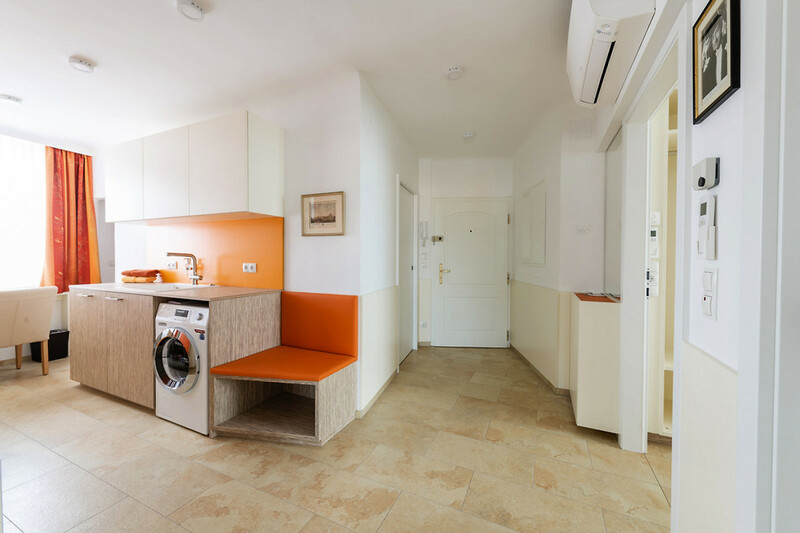 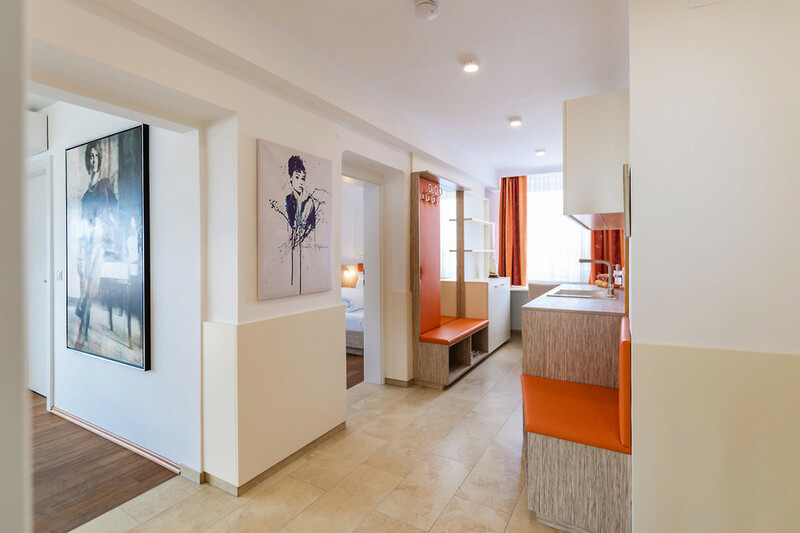 The apartment has two bedrooms plus living room, an exclusive bathroom with steam shower and two balconies, 2 toilets as well as a fully equipped kitchen with Miele appliances, dishwasher, coffee machine, kettle, blender, toaster and others. 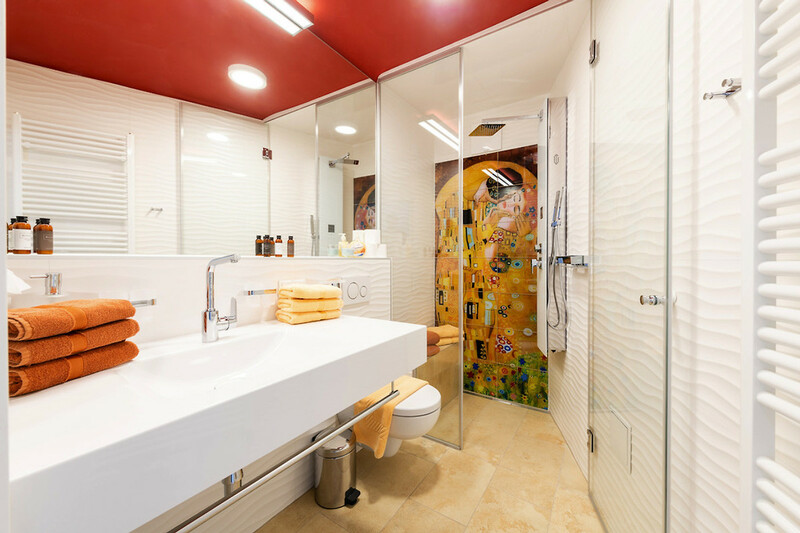 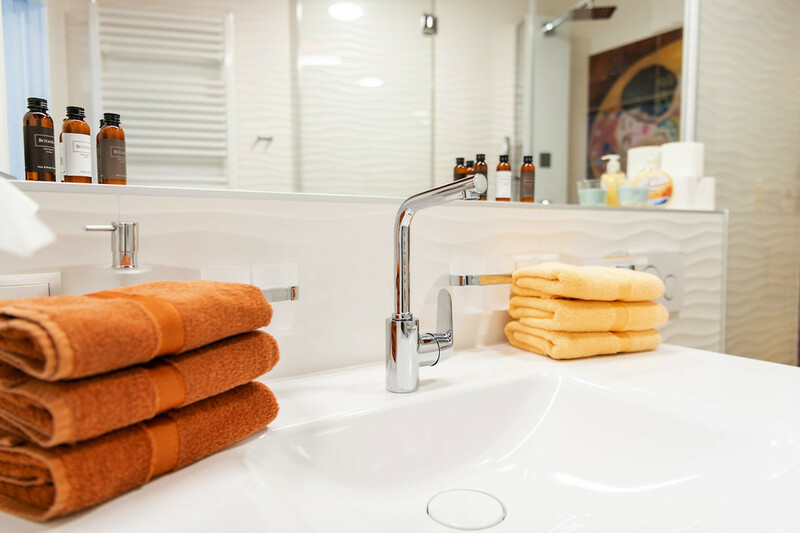 The bathroom has a steam shower, toilet, washing machine and dryer. 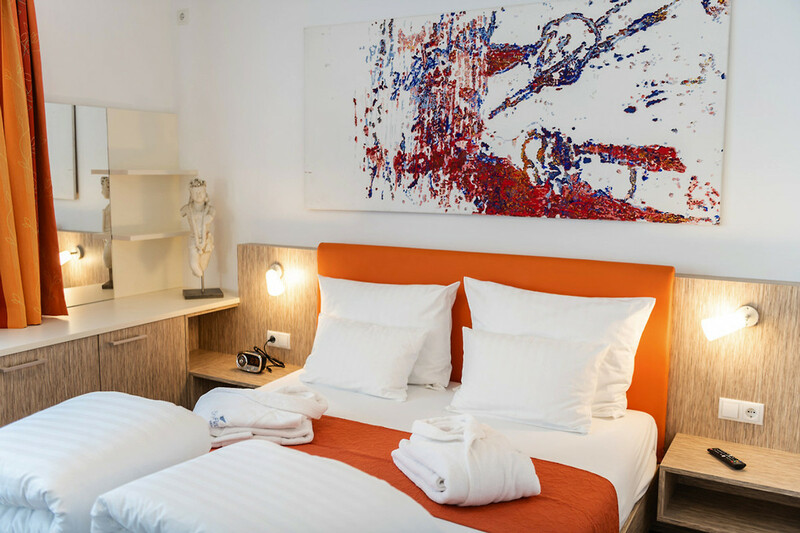 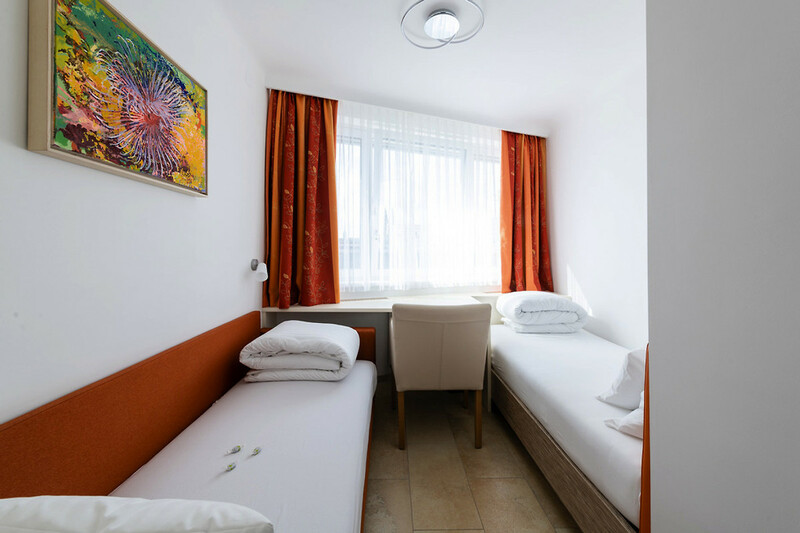 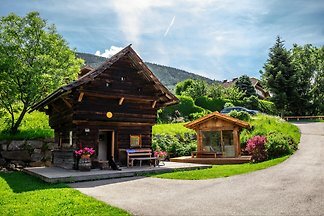 You will also be spoiled with multimedia equipment (satellite, TV, radio, wireless), two work stations, towels, bed linen, weekly. 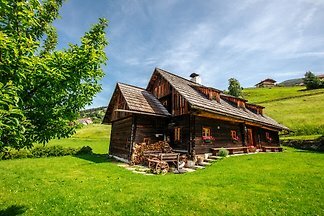 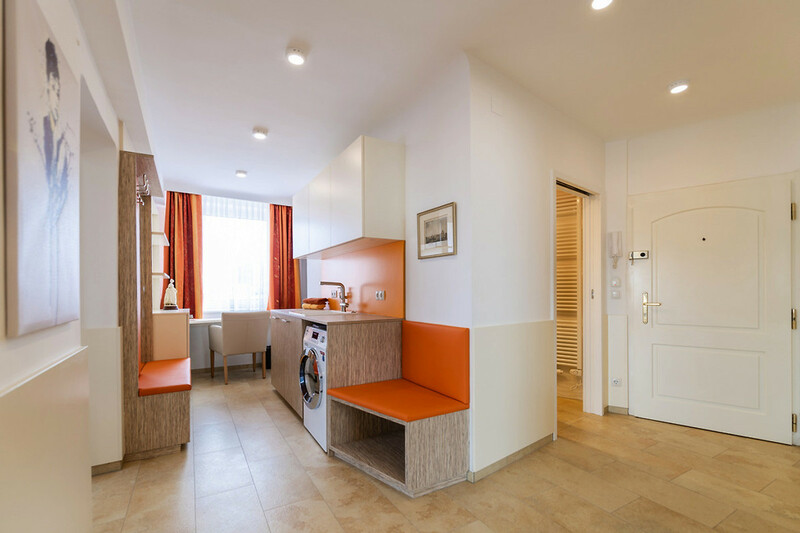 Ideal for 4 to 6 people. 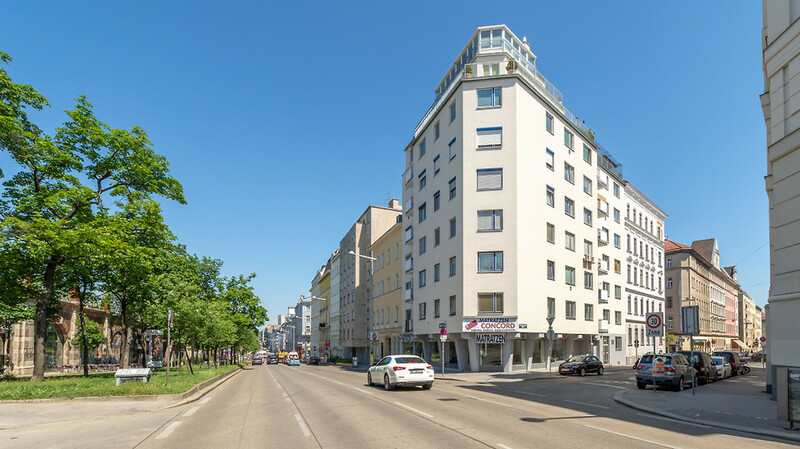 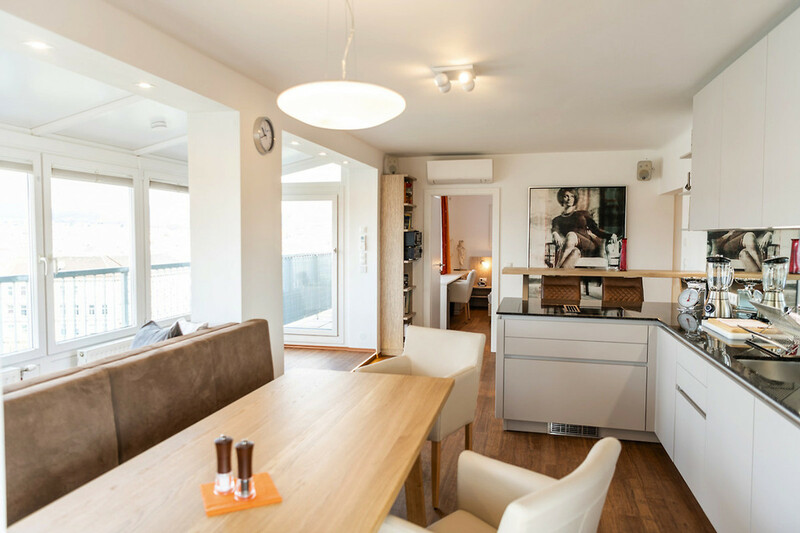 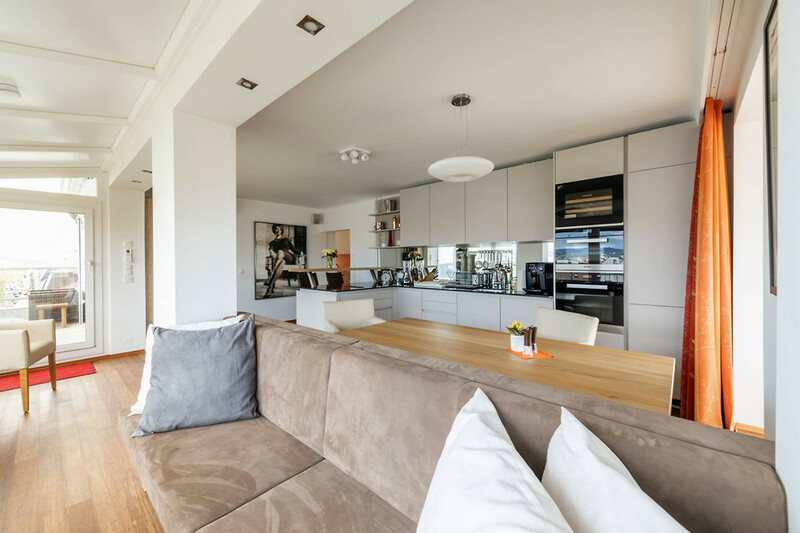 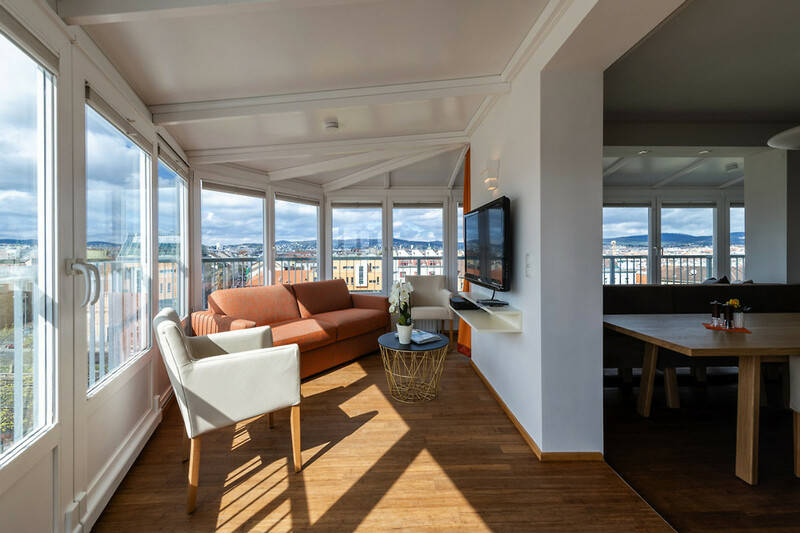 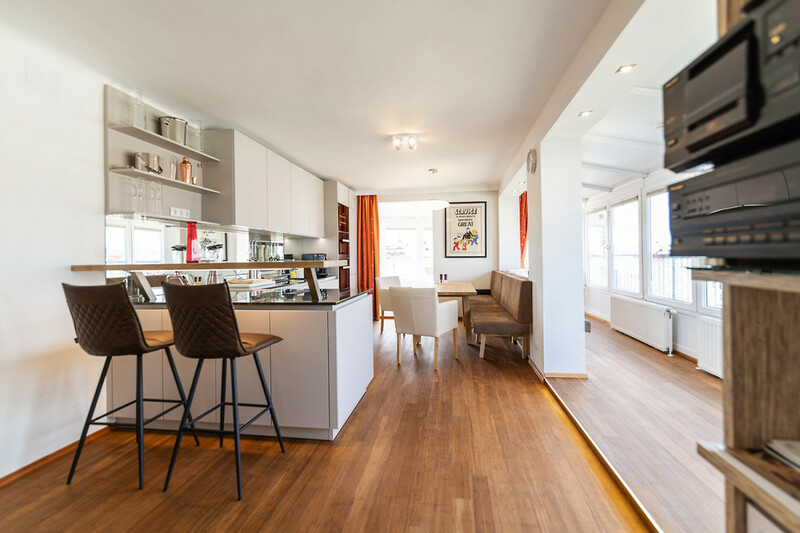 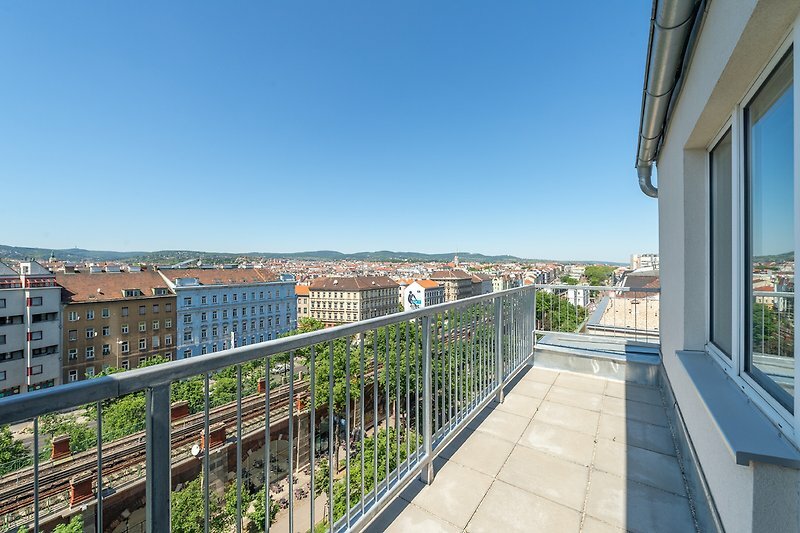 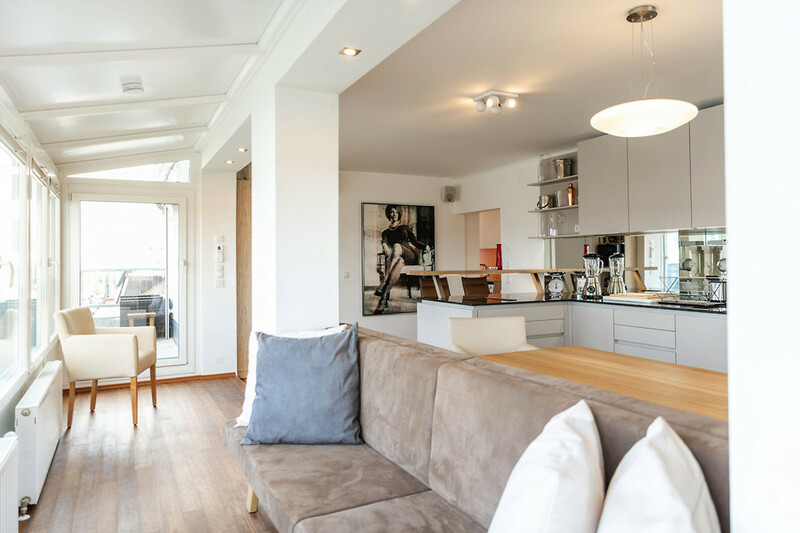 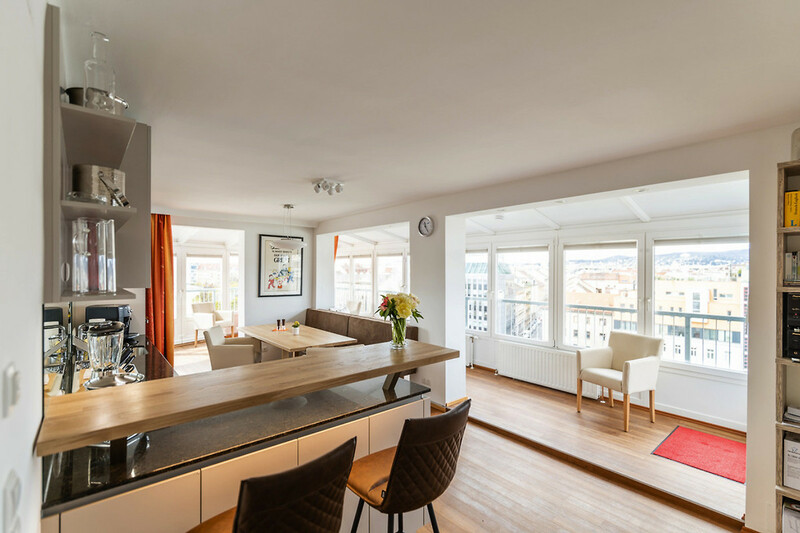 The Belle View apartment is located in the center of Vienna (8th district) near the AKH with views over the entire west of the city to the Vienna Woods. 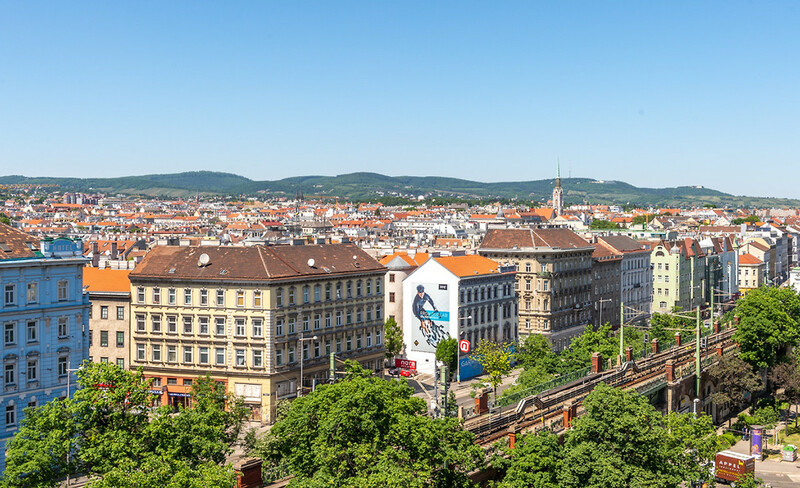 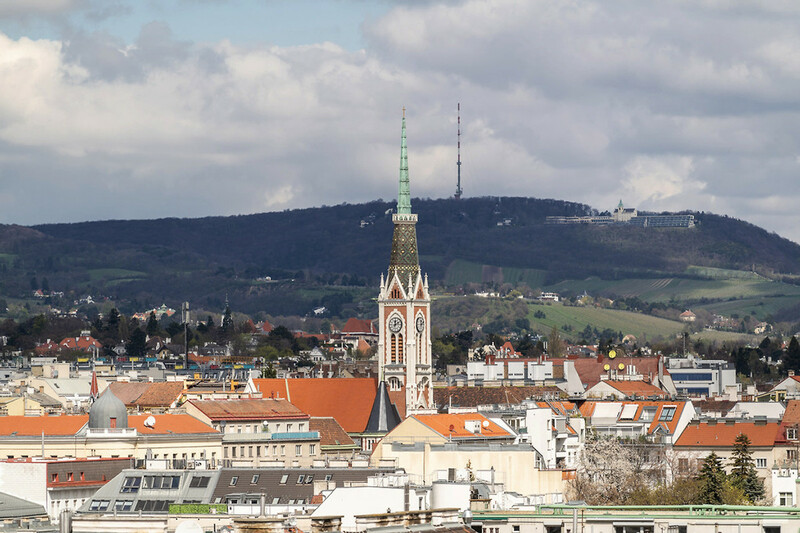 On the other side you overlook the city center, the Votiv Church, St. Stephen's Cathedral and the tallest buildings in Vienna up to the UNO City. 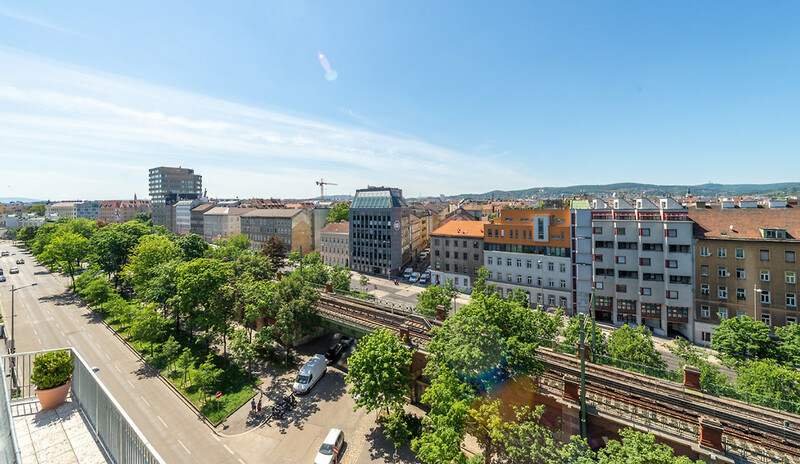 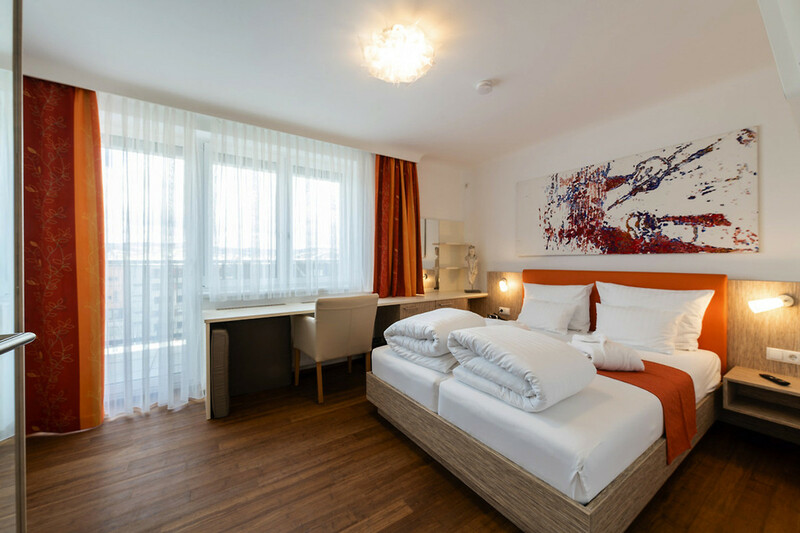 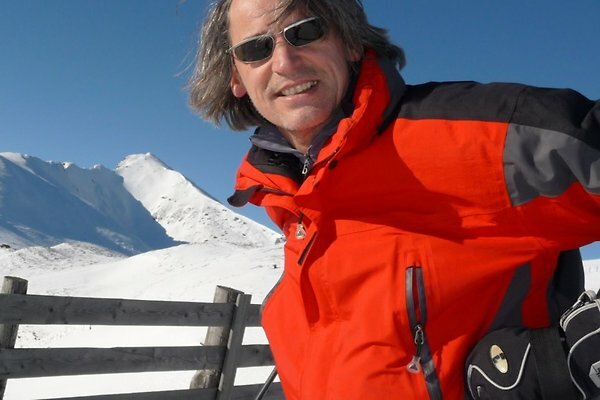 The trendy district of Yppenplatz and Guertel, many bars and restaurants are right on the doorstep, all shops for daily needs around the corner. 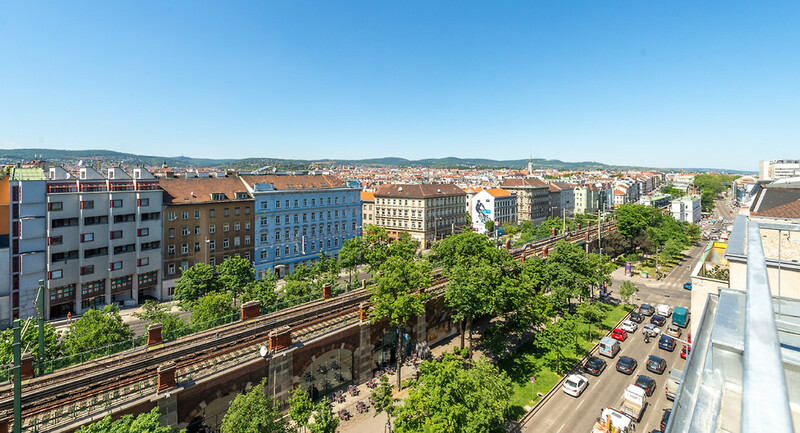 Tram (2, 43, 44) and subway (U6) are just a few steps away.